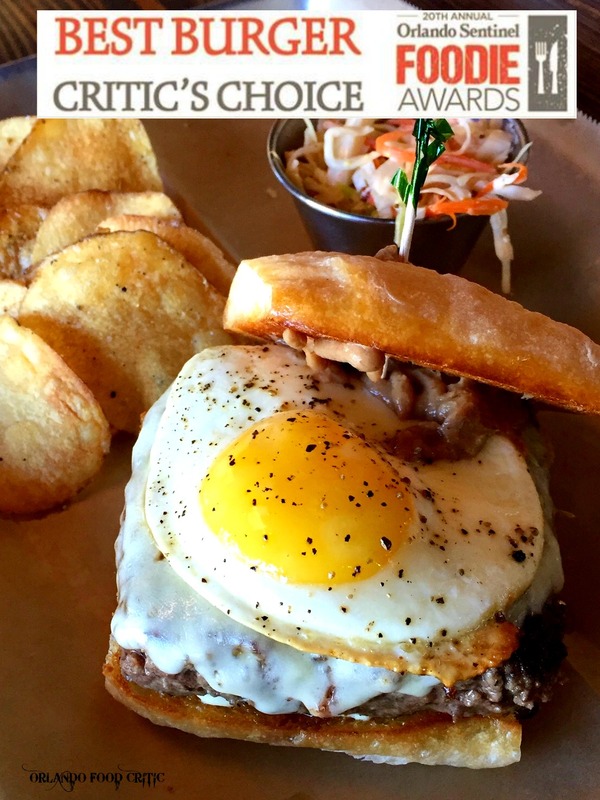 Orlando Meats, the family-owned, whole animal butcher shop and restaurant have just won the Orlando Sentinel “Critics Choice” award for the Best Burger, and in our opinion deserve huge congratulations as well justified. After seeing pictures of the Orlando Meats Burger all over social media we just had to drop by and try one a couple of weeks ago. This is what we said about their amazing burger. Medium Rare Burger – Grass Fed Beef, bacon XO sauce, garlic aioli, provolone, on toasted French bread and served with tallow chips and coleslaw add an egg for only $1. Blending quality cuts of meat is the secret to any burger and Orlando Meats seem to have found the “Holy Grail” in this respect, the Bacon XO sauce compliments but allows the superb beef flavors to satisfy any true burger lover. Medium rare temperature is always our choice and who does not love an egg on your burger. The simply toasted French bread and melty cheese encases what we have come to regard as one of the best burgers we have tasted this year (We eat a Lot) and the Tallow Chips just WOW! Orlando Meats, 728 Virginia Drive Orlando serve Breakfast served 8am-11am. Lunch served 11am-close. Brunch served Sunday all day.